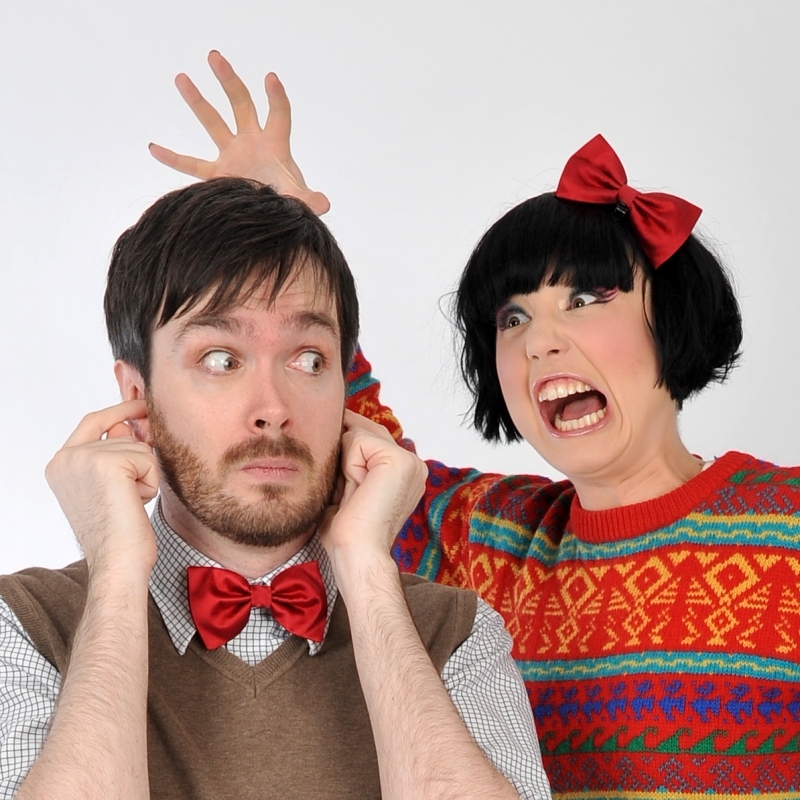 BEC & TOM are an award-winning and critically-acclaimed family* comedy double act consisting of Bec Hill (as seen on CBBC’s The Dog Ate My Homework) and Tom Goodliffe (has seen The Dog Ate My Homework). *suitable for everyone aged 5 and up. BEC & TOM’S AWESOME LAUNDRY! Awesome Laundry is our debut show which has received EIGHT five-star reviews and an AWARD! CLICK HERE to GET TICKETS for our June 12 show at the Udderbelly Festival, London! Wow! 2013’s Edinburgh Fringe run was great, but 2014 was even better! Great reviews, great audiences and we even won an award! And we did a sell-out late night performance just for grown-ups! So @BecandTom ‘s awesome laundry (for grownups) was one of the best shows i’ve seen this year. Go and see the kids show this weekend!!! To book Bec and Tom for other live or media work, please email us at hello.becandtom@gmail.com. More details, marketing pack and video can be provided upon request. Due to popular demand, we also do a version just for grown-ups! Oh pants! It’s laundry day! But Bec has other ideas*. Tom literally has to drag her to the laundrette, but she’ll do anything to avoid her chores: storytelling, games, paper puppetry – you name it! But beneath the mischief, Bec hides a secret. Will Tom be hung out to dry, or will it all come out in the wash? Join Bec and Tom on a journey of friendship, courage and persistence, but most of all fun in this award-winning family comedy show. *Warning: Ideas may contain awesomeness. “this show is packed full of excellent entertainment and is guaranteed to put a smile on your face” – Primary Times. @BecandTom ‘s awesome laundry, one of the sweetest, lovely shows I’ve seen. Loved the humour & even choked up dammit! These 2 are just fab! Question! Hector, what was the best bit of @BecandTom‘s awesome laundry? Answer! ‘All of it’. Don’t take his word for it – go immediately! @BecandTom rt #awesomelaundry should be seen by every child over 5 in the country. adults will love it too!! go see it, you wont regret it.